Yeah! 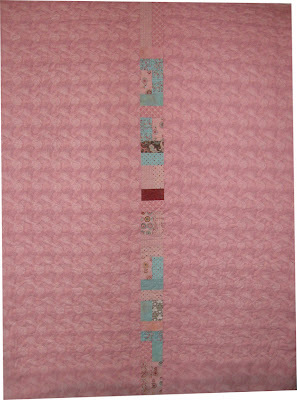 I finished the Blush Lap Quilt top using a stipple quilting design on the HQ16. I used an all over stipple design. I can see my stipple design getting better than dreadful. It doesn't resemble a bunch of long fingers this time. I used a variegated thread on the top and basic white in the bobbin. I really like how on the back, the white just mixes in with the backing and you can't see my mess ups. 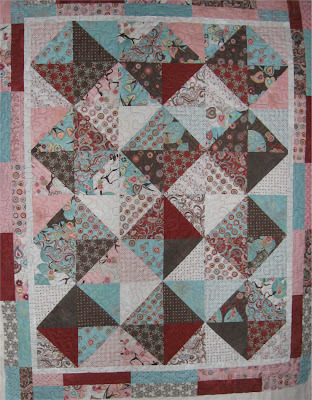 On the front, the pattern is so busy, you can't see the mess ups there either. Now, I just need to determine the right fabric to use to make the binding. If you click on the photo, you may be able to see my quilting. I am just getting back into the grove of practicing on the HQ16. When trying to stipple, I just have to keep telling myself, no straight lines. We recently placed the HQ16 back on it's table. We put the machine up in storage while we were away for DH treatment and regaining his strength. I also quilted a UFO quilt I've had for a long time. I'll show photos of that tomorrow, it was not as successful. I love it. 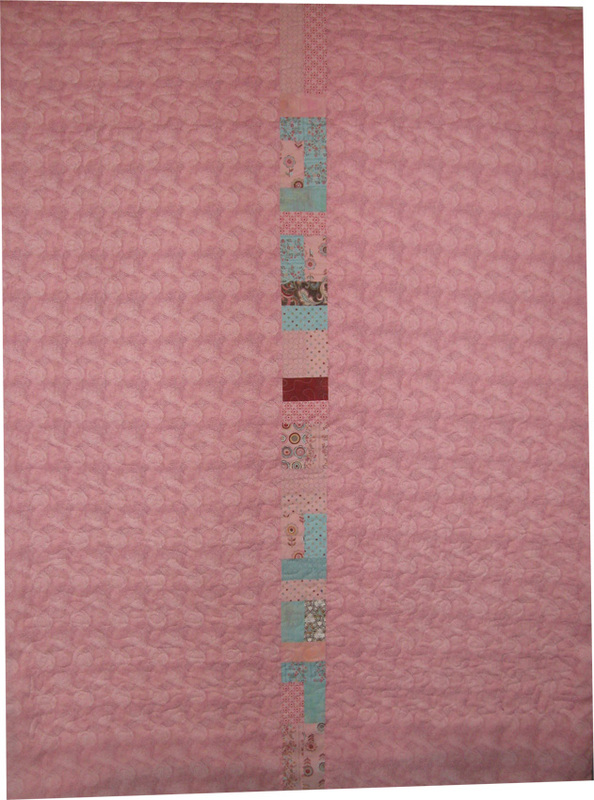 You know that most of us that quilt always turn a quilt over to see how interesting the back is. Yours is so cute! I love your work as it is always different. Hope your sweetie is feeling better too.